Character of the borrower depends upon honestly, family background, nature of employment, habits and the record of the past. So before advancing loan these things musty be considered. Before advancing loan a banker must be satisfied with the sources of the repayment of the funds. The banker should also check the property capital and borrower. This property can kept as a security of loan. In other words if the businessman financial condition is sound then it can be lended otherwise not. Funds should be provided for genuine requirements of the customers. Bankers should not advance the loan gambling or smuggling. The amount of loan must be according to the proportion of the customers own capital resources and it should be sufficient to meet the needs. It should be kept in view that funds may not be locked up for a long term. A major part of the loan should be payable on demand. A banker should not advance the loan to only one sector. It can be harmful. The bank should extend the loan various sectors of the economy. In this way there will be maximum safety for the banker. Banker should also keep in view the national interest before advancing the loan. If loan advancing is not suitable for the speculation then he should not advance. So central bank credit policy must be followed. Security is also demanded to ensure the payments on due date. So banker should take the security against the possibility of nonpayment. It is also necessary that a borrower should be capable to use the funds, wisely. Banker can examine the management ability of the businessman of checking the past and present record of the business. Banker should also keep in view the profit margin of business. If the demand and profit margin of the product is low, then loan may not be advanced. It is a written order by one branch of bank to another branch of the same bank to pay certain sum of money on demand to the person named. 1. It is conditional order for payment. 2. It is drawn by one branch to another branch. 3. The bank of the two branches will be same is payable on demand. 4. It is payable on demand. 5. The amount specified is written on it. 6. The name of specified person is also written on it. 7. It bearer signature of the issuing authority. 8. Branch code number is also written on it. 9. It bears no stamp. 1. It is very useful for trade. 2. It is useful for the settlement of debts. 3. It is a reliable credit instrument for remitting money. 4. The payment of draft through telegraphic transfer (T.T) is made with in a few hours. 1. In case of draft, the banker has direct liability to pay while in case of cheque banker will pay if the sufficient amount is available in the account. 2. A draft can not be made payable to the bearer. A cheque can be drawn by the bearer. 3. A banker is bound to pay the draft money while cheque payment can be sloped by the drawer. When the agreement to pay back the money is purely oral is called parole credit. If the borrower refuses to return the money, the lender can not prove. It is a simple and common type of credit. It is a simple type of an entry on the books of a business concern recording an obligation to make payments to the lender or a right to receive a payment from the borrower. The main advantage is that it is very simple and speedy way to carrying on business transactions. Most of the credit in the modern business world is evidenced by the written contract. All the terms and conditions like rate of interest, amount period, etc. are written in it. They also facilitate recover and make the instruments more negotiable. Definition of Gresham's Law : " When bad money and good money both are circulating side by side as a media of exchange bad money drives good money out of circulation other things remaining the same." Bad money we mean underweight or clipped due to circulation. Good money is that money which contains full value which is stated on the face of the coin. This law applies to the coinage system. But this law have been reformed and now its application is extended to both metallic and nonmetallic currency. 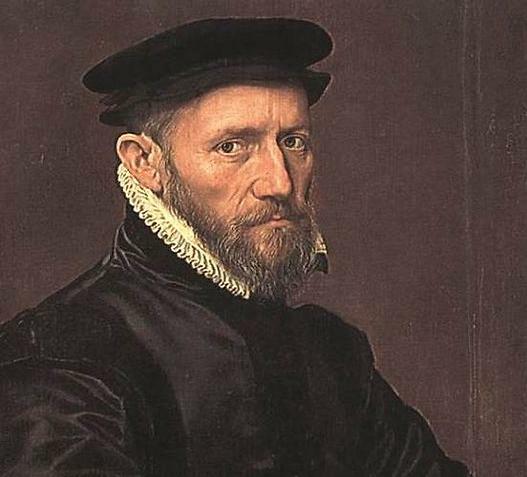 This law is associated with the name of Mr. Thomsan Gresham who was the famous merchant and financial advisor of Queen Elizbeth. During her father reign a large number of underweight coins were in circulation. People were loosing faith in the currency. Queen tried to declare the debased coins from circulation by issuing the new coins. But people hold the new coins and passed on the old coins. In this way former disappeared from circulation. So Mr. Gresham formulated the law that bad money drives good money from circulation when both are in circulation side by side. When the new (good money) coins and old coins (bad money) or underweight or clipped coins are circulating together, people will prefer the new coins for the purpose of hoarding. In this way new coins will disappear and old coins (bad money) will remain in circulation. If any person wants to melt the coins for ornaments he will prefer to melt the full weight coins (good money). So bad money will remain in circulation. Gold generally acceptable by all the world. If any importer of goods wants to make the payment in gold the exporter, he will melt new coins having full weight. It will create shortage of money in the country. This law is applicable in the following monetary standards. When the worn out coins (bad money) and new full weight coins (good money) are made by the same material and they have the same face value, circulate together. 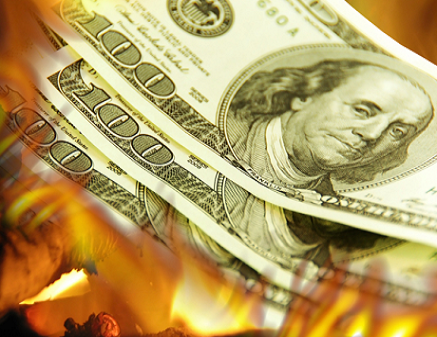 In case of hoarding, melting or exporting good money will be used and bad money will remain in circulation. When two mettles say gold and silver are used as a materials for the standard money and a ratio of exchange is fixed by law between their values, this system is called Bi-Metallism. When the mint ratio of exchange of mettles differ from the market ratio, one mettle would be over valued and the other would be under valued. So over valued (good money) metal coin will disappear from circulation. It may be hoarded, exported or melted. When coins and paper money circulate side by side as a standard money, then metallic money will be considered good money. If at any time money is to be hoarded, exported or melted coins will be preferred over paper money. If secured and unsecured credit money is circulating as a media of exchange, the unsecured credit (bad money) will drive the good money (secured credit) out of circulation. If the bad money is disliked by the people and they hesitate to accept it then bad money can not serve and remain in circulation. If Govt. takes severe action against those persons who hoard, melt or export the under valued (good money) money, then bad money can not serve. 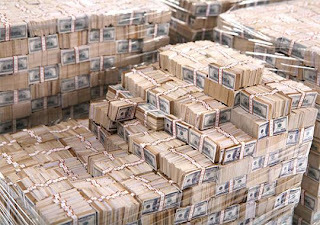 If the quantity of bad money is very small and it can not meet the requirements of the people in that case good and bad money both will remain in circulation. When there are obligations to make payments at some future date the person to whom the future payment is to be made the obligation is called credit. The investment credit is used for fixed capital and for capital goods. The borrower can purchase the machinery, factory, equipments and can use it for the transaction facilities. Commercial banks, Insurance companies and finance corporations provide this credit. It is extended for short period and it used as a working capital. Commercial loans are easy to repay because the firms can easily recover the cash through the sale of their production. Commercial credits are chiefly in the form of bills of exchange and promissory notes. The Commercial credit is mainly extended by the commercial banks and finance houses. Consumption credit is extended for non business purposes. A consumer spends it on consumption goods like car, T.V., DVD. Consumption loans are issued by the commercial banks, saving banks, small shopkeeper and money lenders. Credit is also utilized for speculative purposes. The speculator may borrow from commercial banks or from brokers to earn profit on account of changes in their prices. From 3 to 5 years period is considered the long term credit. Long term credit is required for capital, such as building and machinery. Intermediate credit is normally issued for one to three years. It used for the purchase of machinery, furniture etc. by the firms. The period of short term credit is ordinary less than one year. This credit is used for the purchase of raw material and to make the payment of labour, advertisement, light and power etc. It is payable on demand. The firm can not use it for fixed assets. 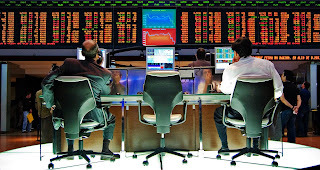 Demand credit is generally used by the commercial bank to finance the brokers. Public credit is issued to the Government bodies and they have an obligation to pay on some future date. It is a case of public credit. When non-government bodies acquire goods in the present and promise to pay in future. It is the case of private credit. The liquid asset of bank is called cash reserve of bank. It is to be kept by the bank in order to meet the demands of the customers. There are three items which are included in cash reserve. 2. Cash with the central bank. 3. Cash kept with other banks. Keep in mind that bank is a profit earning institution. It receives the loan at lower rate of interest and lends it on higher rate of interest. Every bank wants to lend all that money which is deposited with it. But it is not possible. Because it has also to meet the cash requirements of the customers. If it fails to provide the money to the depositors then his reputation will suffer. It will loose the confidence of the people and it will have to go into liquidation. On other hand if they retain major portion of their deposits with them than they will earn merge profit and might go in to losses. So they will have to keep the balance between the liquidity (cash reserve) and profitability. It is very difficult to frame any rule for the fixation of cash reserves by the bank. However following are the important factors which guide the banker to determine the size of cash reserves. If the size of the deposits kept by the customers is large, then a large cash reserve has to be maintained. On the other hand small cash reserve will be required. The banks will have to keep large reserves if the clients of the banks are industrialists, brokers and businessmen. Because their demand for cash will be also large. If people keep major portion of their deposits in the current account if the bank will have to keep large reserves in cash. If major deposits are in savings or fixed account the small reserves will be kept by the bank in cash. If cheques and credit cards an used commonly by the public then banks will keep smaller amount of cash reserves as it has been observed in advanced countries. If clearing house is not available then every transaction will be made in cash. So large amount of cash reserve is to be maintained. On other hand if this facility is available then small amount of cash reserve is needed. In the under developed countries people accept only cash in buying and selling. So a large amount of cash reserve is needed by the banks. If there is political unrest it will lead to economic instability and banks will keep higher cash reserves. On other hand in case of political stability, the banks will keep lesser cash reserves. The bank situated in rural area will keep less cash reserve because farmers demand for money is seasonal on the other hand bank in city, keeps higher reserves. Most of less developed countries to safeguard the deposits of people and to use the credit weapons government has fixed the cash reserve ratio at 5% of demand with the Central bank. The banks are also required to maintain 3.5% of the total time and demand liabilities. If large portion of funds is used in loans and advances which can not be taken back easily then larger cash reserve will be required by the bank. The commercial banks create multiple expansion of their bank deposits and due to this, these are called the factories of credit. The banks advance a major portion of their, deposits to the borrowers and keep a smaller part with them. The customers have full confidence on the bank. The banks expand loans by much more than the amount of cash possessed by them. This tendency on the part of the banks to lend more than the amount of cash possessed by them is called Creation of credit in Economics. 2. By purchase of securities. By over drafting bank creates credit. Secondly bank purchases the securities and pays them with its own cheques. The holders of these cheques deposit them in the same banks. This creates deposit which is nothing other than creation of credit. According to Benhen : " A bank may receive interest simply by permitting a customer to overdraw their account or by purchasing securities and having for them with its own cheques. Thus increasing the total bank drafts. One should remember that single bank creates a very little credit. It is a whole banking system which can expand the credit." Secondly when loans is advanced, it is not given in cash. The bank opens a deposit account in the name of the borrower and allows him draw to draw whenever required. The loan advanced by cheques results in the creation of new demand deposits. Sometimes, a question arises that it borrowers with draw these deposits for the repayment to other persons, then how the banks will create credit. The answer is that other persons who receive money may also be the clients of the bank. Naturally they will also deposit their cash in the bank. The process remains continue. We can explain it by the following example . Example :- Suppose a person deposits 1,000 in a bank. According to experience bank can keep 20% cash reserve to meet the demands of the depositors, and can lend the rest safely to the borrowers. If all the bank maintain a reserve ratio of 20% then banks can succeed in creating a credit a credit of Rs. 5000 against an original deposit of Rs. 1,000 in cash. 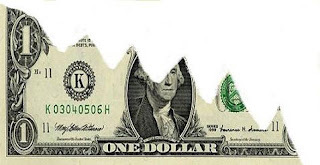 The contraction of credit adversely affects the money supply. The contraction of bank credit may take place due to many visions. For example the bank may recall loans or due to political uncertainty or due to fall in price borrower may stop the borrowing. According to Pritchard : " Contraction by any single bank in this system will place pressure on other banks and if their excess reserve position is inadequate and the banks are unable to meet their excess reserves through the agency of the central bank then a multiple process of credit contraction will start." If the banks have large deposits they can create more credit and if they have small deposits then their power of credit creation will be limited. While we know the commercial bank has the monopoly of note issue, if the central bank increase the quantity of money the deposits of commercial banks will increase and they will expand the volume of credit in the enquiry. On the other hand if supply of money decreases, the volume of credit also of decreases. Any how the credit creation power of the commercial bank is directly affected by the policy of the central bank. The power to create credit by the commercial banks is very much influenced by the habits of the people living in that country. If the people are habitual in using the cheques then the volume of credit will expand on the other it will be contracted. 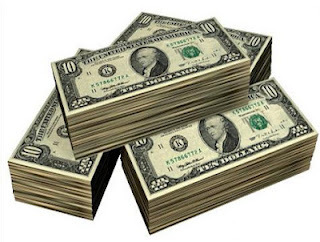 Every bank keeps an adequate cash reserves for meeting the cash requirements of its customers. The bank will not allow its cash ratio to fall below a certain minimum level. When this level is reached then bank will not advance money. The bank advances loan to the borrowers against some kind of Collateral Security. 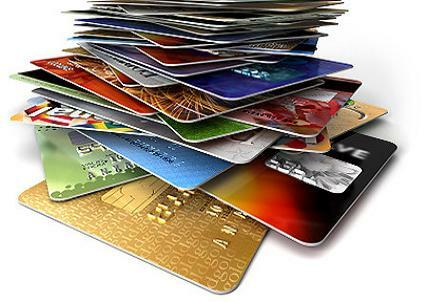 If these are not available then the power of credit creation will be restricted. These were some limitations in the way of credit creation. The less developing countries like India or Pakistan facing capital shortage problem. Our production sources are limited. So credit instruments have provided the money to the industrialists. Now production is on large scale and cost per unit has been reduced. The quality and quantity has been improved. Credit provides an opportunity to save the money some people save the money but they are not capable to do any business. So they lend it to the financial institutions. Credit makes possible the shifting of money to those people who can use it for productivity. There are so many people who have surplus money but they are not capable to do any business. So they lend it to the financial institutions. Credit makes possible the shifting of money to those people who can use it for productivity. Credit instruments are used in place of metallic coins. So there is a saving of precious metals also. Further use of credit instruments is more effective and convenient. Some times an industrialist faces the finance problem to purchase the raw material or for the payment of wages. So he avails the credit facility. Some time a firm can obtain credit by selling the bonds. If the firm prospects are bright it will repay the principal amount with interest. Credit enables the manager of a young firm to develop its resources at a rapid speed. Credit makes possible the entrance of new talent in the business enterprise. If the person has all the qualities of a good entrepreneur but having no capital, credit provides him the chance to utilize his qualities. Credit enables the consumer to purchase the consumption goods like T.V. Radio, Car House etc. Through the bills of exchange international payments can be made very easily. There is no need to import or export the gold for the international business transactions. If the Govt. Budget is deficit, it can be met by selling the bonds and receiving the credit. Even in case of emergency, war, credit is very beneficial for the state. The expansion of credit beyond the safe limit usually results in over investment, over production and raising price. While the contraction of credit. If any consumer or nation misuses the credit then the loan will not repaid and it will create panic in the monetary circles. Financially weak businessman who is running uneconomic concerns and he is receiving the credit, all the firms which had trade relations with it all suffer. It will also create panic in the business circle. 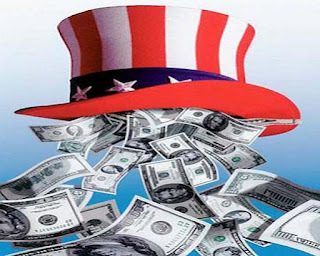 If a large amount of credit is at the disposal any individual or corporation, then there is a danger of monopolistic exploitation and a monopolist can adopt any unfair method in the business dealings. If the Govt. spends the borrowed money lavishly the citizen will loose confidence on the creditability of the state. "The Primary economic function of a commercial bank is to receive demand deposits and a honour cheques drawn upon them. A second important function is to lend money to local merchants farmers and industrialists." Some people have an excess money and they want to deposits it to some honest man or an institution who can also give them some profit. So first function of the commercial bank is to receive deposits. There are three types of it. These deposits can be drawn at any time, so bank is not ready to give interest on it. These deposits are fixed or particular period. Commercial banks also pay an interest on these accounts. To create the habit of savings, bank accepts the savings deposits and pays an interest on these deposits. A depositor can draw a small amount at anytime. Bank also advances the loan a merchants and charges the interest. It is the major source of its income. It also issued the loan for short term, medium term and for long term. It also provides the over draft facility to is clients. The credit which a bank wants to issue, it is deposited in the account of a debtor. In this regard some times limit is fixed by the bank for customers. Upto that particular limit one person can draw an amount up to that limit. Commercial banks also discount the bills and facilities the business. For example one businessman purchases anything from other person and promises to pay after one month. The seller will write a bill to the buyer and there will be an order that after a one month the buyer will pay an amount to the seller. Buyer will sign on the bill. In other words buyer will accept the responsibility of that amount. If seller is in need of money, he will take it to the bank and will receive the money by discount the bills. The commercial bank also may re discount it from the central bank. By issuing cheques and drafts bank provides cheap medium of exchange. The commercial bank is very helpful in transferring the money from one place to another, by issuing the drafts. Banks also provide locker for the safety of precious articles. Bank also performs the duty of an agent. It collects and pays on the behalf of the customers. Banks also make an investment in different companies and industries. It also creates and extends the volume of credit. It also provides the finance to the foreign trade. Letters of credits are issued by the commercial banks for the foreign payments. The commercial bank purchases and sells the securities, for himself and some times on the behalf of the customers. Bank provides a very useful services in the collection of dividends and it charges a very nominal fee. The customer may order in writing to his bank to make a payment of regular installment to any one person or institution. The payment can be also stopped in writing. If a client directs his bank to act as a trusty in the administration of a business, the bank performs this responsibility. The entire banking business was controlled by the non Muslims before the partition of the subcontinent. When Hindus became sure about the division of the sub continent they secretly began to transfer their capital to the safe places in India. The funds and other valuables were transferred to India. Hindus migration from Pakistan to India also caused drain on the bank deposits. In order to ruin the economy of Pakistan, Hindus closed down most of the head offices and branches of the scheduled and non scheduled banks in Pakistan. At the time of independence there were only two Pakistani banks, that's is Habib Bank and Australasia Bank. At that time Pakistan had 631 branches of scheduled banks and 411 of nonscheduled banks. The total deposits of Pakistan banks were Rs. 800 million and advances were 198 million. The non scheduled banks number reduced from 411 to 106 over the same period. The mass scale withdrawal of deposits closure of branches and migration caused dead lock in the banking business in Pakistan. Keeping in view the above situation government of Pakistan took various steps to provide all kinds of facilities to the non Muslim bankers for restoring normal banking facilities but response was not encouraging. After the independence it was not possible for Pakistan to set up the Central Bank immediately. The Reserve Bank of India acted as a central bank of Pakistan till 3oth September, 1948. But it could not protect the interests of Pakistan. To remove the financial difficulties and to establish sound banking system Govt. established the State Bank on 1st July 1948. In the development of banking system it played very important role as a central bank of the country. New branches were opened in the country with development of banking system. 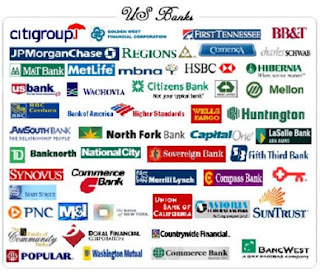 These banks also extended their branches to foreign countries. Government of Pakistan established the specialized financial institutions like ADBP, IDBP, NDFC, PICIC, HBFC. These financial institutions financed the particular sectors like agriculture, industry and housing. In 1947 government of Pakistan nationalized all the banks. The weaker banks were merged with the strong banks. It was argued that these were nationalized to provide fair distribution of credit to all the classes of people and remove the monopoly of few Capitalists over the banking industry. Now government has decided to privatize the commercial banks. The banks are in the process of privatization like other units of the economy since 1990. This step is taken to provide better banking facilities to the public. It was also argued that loans were used as a political bribe and it destroyed our banking system. People are not willing to repay the loans inspite of all Govt. efforts. So after privatization private banks will not accept the political pressure and loans will be issued on merit. In January, 1991, a privatization commission was set up and two commercial banks namely MCB and ABL were transferred to private sector. While other banks like HBL and UBL are under the process of privatization. In August 1991 government has also allowed the establishment of new private banks. Now new banks like Askari Bank, Platinum Bank, Indus Bank, Mehran Bank, Soneri Bank, Union Bank and Al-Habib Bank are established. These banks have established their branches in all the important cities of the country. There are different views about the origin of the word Bank. 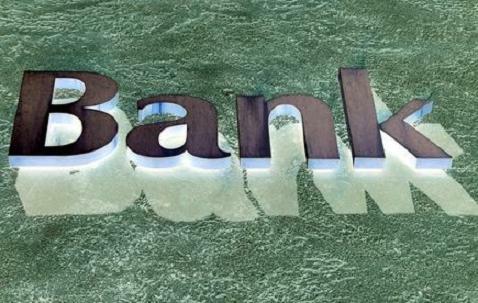 According to some people the word Bank is derived from the word "Bancus" which means a "Bench. They argue their point, by this example that Jews merchants transacted their business of money exchange on the benches. If the business of any businessman failed, his bench was destroyed by the people. Due to this practice the word "Bankrupt" was also used. On the other hand some people say that the word "Bank" is derived from German word "Back" was replaced by the word "Bank" which is called " Banco" in Italian language. There are large number of definitions which are offered by the different authors. Keeping in view the various definitions we may define the bank in the following words. "A bank is a reliable financial institution which receives the money from one group of people and lends to other group of people. So bank performs the duty of financial intermediary among the people and creates the credit money". The history of banking evolution is very interesting. In the early ages human life and wealth was not secure. Due to fear theft people berried their wealth under land but this method was not satisfactory. People started to search the custodians of wealth. The evolution of banking started and it has crossed the following stages. After a great struggle people succeeded in finding the reliable persons to deposit their money and valuable goods for safety. These people were goldsmiths. These were considered the most trusted persons due to their sound financial position. On the other hand they had a very strong iron safes for keeping gold, money and other variable items. People started depositing their gold and cash in the safe of goldsmiths. Goldsmiths charged something for this purpose and they returned the depositors their money whenever they needed. It was the first stage of banking evolution and goldsmiths were the early bankers. During this period those receipts which were issued by the goldsmiths against the valuable goods were being used as a medium of exchange by the merchants. People purchased the various things from the traders against their receipts. Traders also started accepting the receipts against the payments. So the receipts were used just like the bank cheque of the modern age. This period started at that time when goldsmiths came to know by experience that people are using their receipts as a medium of exchange and very few people demand their deposits. So they reach to the conclusion that they may lend some portion of their total deposits to some other people and they can earn profit. Goldsmith started the business of lending. They also started paying interest to attract the depositors of net cash. Now this business became very profitable, so the traders and money lenders also jumped in this field. It was started at that time when people were tempted to deposit more and more cash of the traders, money lenders and goldsmiths to earn maximum interest. On other hand number of borrowers also increased borrowing the money. So for the borrowing and lending business regular institutions came in to being. In the present age bank is modernized shape of those institutions. 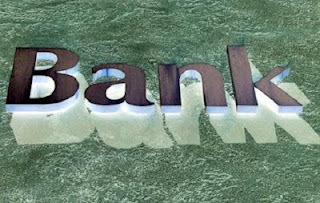 But to earn more profit every bank started issuing overdraft facility without maintaining adequate cash reserves to meet the demand of the depositors. This inability created the financial crises. Now the maintain the good will of the bank every government has established the central bank. All the commercial banks perform their duties keeping in view the instructions of the Central Bank. Keeping in view the above discussion about evolution of bank we can say that it is the result of the different activities of goldsmiths, merchants and money lenders. They are the real founder of modern banking business. All the basic functions of modern bank like accepting deposits, advancing loans and money creation are similar with the founders. Now with the changing business requirements the secondary functions of banks have been changing with the passage of time. Asian Development Bank was established on August 22, 1996. It was ratified by 15 countries. It started functioning in December 1996. Its headquarter in Manila. Members of ADB are more than 48. Thirty members are from Asian cou8ntries. Membership of ADB is open for all the members of UNO or its any specialized agency. USA, UK and 15 West European countries are its members. Ordinary sources are those which are paid in capital by the member countries. Bank has borrowed from the world market and its income from investment. On other hand special funds are contributed by the developed countries. Income from special funds, investment and transferred amount from the ordinary sources is also its main source. A board of governors manages its operation. There are 12 directors in the board of governors. President of the bank the chairman of the board. Each director of the board holds the office for 2 years. 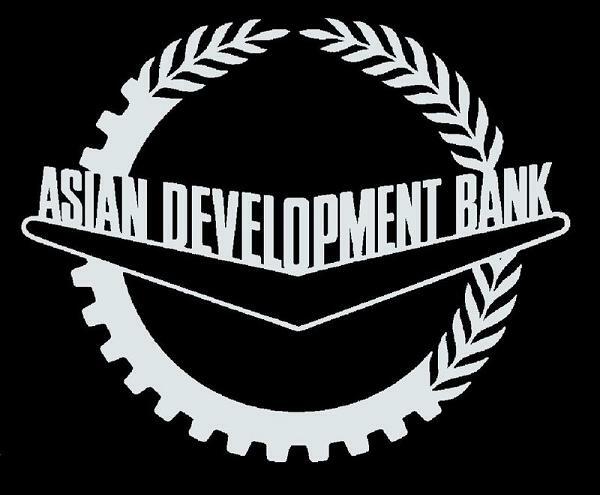 The objective of ADB is to increase the rate of economic growth in the Asian member countries. ADB has established the various other funds like Asian Development Fund (ADF). Multi purpose special fund (MPSF) nad agricultural special fund (ASF) provide technical assistance on priority basis. 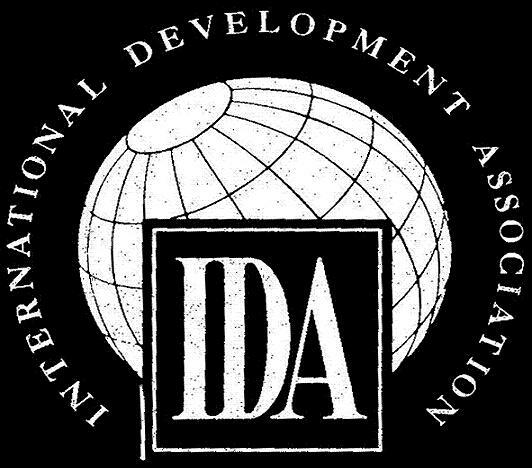 International Development Association was set up in 1960. This institution is managed by IBRD International Bank for Reconstruction and development, but it is legally and financially distinct from it. The requirements of capital were increasing in the developing countries and it became difficult for the IBRD to perform its statutory duties. Keeping in view the problems. USA presented the resolution for IDA to co-ordinate with IBRD in annual meeting of IMF in 1959. 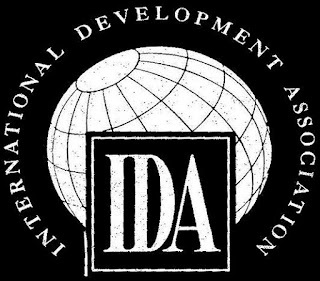 So in 1960 Article of arrangement for IDA was submitted to the member countries in January, 1960 and it started functioning. IBRD members may be the member of IDA. There are two categories of members. First category includes industrialized nations. Kuwait and UAE second category includes poor and developing countries. Thirty three industrialized countries of first category provide 90% of the total resources. The remaining 10% is provided by the poor countries. IDA initial subscription was 750 million dollars. 1. Transfer of a part of net income of IBRD. 2. Repayment of IDA credits. 3. Net Revenue ans Swiss loan. IDA objectives are same as IBRD. Its aid is for the development of poorest countries. Its conditions are more libel. Its aid is for productive purpose and it stimulates economic growth. IDA loans are called credits. Per capita income of the member poor countries is considered the base for the distribution of credit. 1. To provide long term credit to poor countries at soft terms. 2. To co-ordinate with IBRD in co-financing. 3. To create supplementary source of capital for member countries. 4. To increase the productivity. 5. To promote economic growth of member developing countries. IDA has its own financial resources but it is closely connected with the world bank. Executive Directors of IBRD and IDA are same. 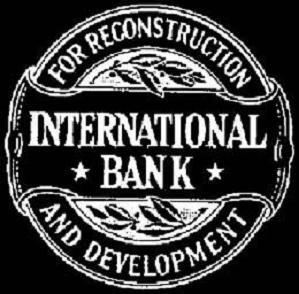 The IBRD was set up in 1945 with 8 million dollars. 1. It was set up to provide foreign exchange for post war reconstruction. 2. To improve the economic condition of the less developed countries. The IBRD is actively engaged in assisting and encouraging the long term investment for the development. The IBRD has increased the private investment in abroad. IBRD also lends directly to the countries. It also participates with private investors in foreign lending. The bank also advances loans to local Govt. and commercial institutions if Govt. of that country gives surety of the repayment of capital. No doubt the IBRD has played very effective role in improving the economic conditions of the less developing countries who have requested the bank to provide them loans on low rate of interest. The conditions for credit should be also easier. European Economic Community is also called European Common Market. It was set up in 1957 by six nations of the Western Europe. Its main aim is to remove the restrictions on the mobilization of labour and capital among the member of countries. 1. Abolition Of Tariffs : It has been decided that tariffs and import quotas should be abolished over a period of ten to 15 years among the member countries. 2. Common System : A common system of tariffs should be set up for the goods received from the rest of the world. 3. Perfect Mobility : There should be a perfect mobility of labour and capital within common market. 4. Common Policies : As regards the other economic affairs of joint concerns, common policies are be formulated. Economic purpose of ECM was to realize the advantages of increased specialization. The members felt that their national market was very small, so they thought that a large market will absorb by the community members that due to the improved efficiency production will he cheaper and it will increase their prosperity. Past experience shows that trade among the member countries has been increased but it has neglected the rest of the world. So these countries also hesitate to purchase the product of other countries, who are not the member of the community. 1. 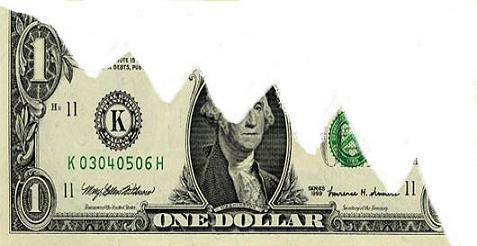 Each member of IMF is required to pay 25% to 10% of its quota in the shape of gold or USA dollar. 2. The exchange rate value of each currency is expressed in terms of gold or U.S.A. dollar, at the time of membership. 3. The IMF may purchase the scarce giving gold. 4. 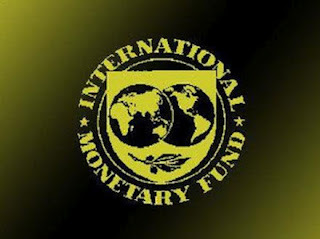 IMF has encouraged the multilateral transactions like the gold standard. Due to above reason some people say that it is actually return to the gold standard. In fact IMF has failed to stabilize the exchange rates. The currencies of the countries are not freely convertible with one another. Bilateral agreements are also taking place. When all these essential conditions of the gold standard have not been satisfied. So how we can say that setting up of IMF constitutes a return to the gold standard. After the world war IMF has contributed to the reconstruction and expansion of world trade. But in the past years it faced certain difficulties. Various countries devalued their currencies in competition and it created problems. Since the world war 2 demand for gold is increasing in all the field while the supply of gold has not increased according the same ratio. So different proposals have been given to increase the supply of gold. It is suggested that the dollar price or gold should be raised to encourage the production of gold. The second suggestion is to discover the substitute of gold which should replace the gold completely. All the members have accepted these proposals. In case of deficits IMF has allowed the members to meet this deficit by the creation of special drawing rights, ( SDRS ) with the IMF. Due to the establishment of this new international currency the reserves and liquidity has been increased. After 1960 the importance of U.S.A dollar starts falling. Due to the deficit in the balance of payment the U.S.A. declared that the dollar was no longer convertible for gold. This declaration upsets the whole IMF system. So now all the world countries have adopted the fluctuating exchange rates. 1. Democratic System :- It has been suggested that all the members of the IMF should be allowed to participate in the formulation of economic policies. 2. Creation Of SDR'S :- The most important development in the IMF is the creation of special drawing rights in 1969. These are now valued in terms of basket of 17 countries weighted according to their international importance. 3. Co-Operation and Consultation :- The members of IMF have been advised to sit together and consult, assess, cooperate and suggest measures to improve the IMF system. 4. Assistance To The Affected Country :- If any country faces unfavourable balance of payment problem, the fund will provide the medium term assistance to the affected country. International Monetary Fund was established in 1947. Following were the main objectives of this fund. 1. To promote exchange rate stability among the different countries. 2. To make an arrangement of goods exchange between the countries. 3. To promote short term credit facilities to the member countries. 4. To assist in the establishment of International Payment System. 5. To make the member countries balance of payment favourable. 6. To facilitate the foreign trade. 7. To promote The international monetary corporation. The twelve member executive committee manages the affairs of IMF. Five members are the representatives of U.K, U.S.A, China, France and India. The remaining are elected by the other members countries. Its head office in in U.S.A. The initial capital of IMF was 8.5 billion dollar which was contributed by the 49 members. The quota of each member country was fixed in proportion to the national income and volume of foreign trade. Every country was required to pay in the form of gold and domestic currency. IMF main function is to purchase and sell the member countries currencies. If any country is facing adverse balance of payment and facing the difficulty to get the currency of creditor country, it can get short term credit from the fund to clear the debt. The IMF allows the debtor country to purchase foreign currency in exchange for its own currency upto 75% of its quota plus an addition 25% each year. The maximum limit of the quota is 200% in special circumstances. If the demand of any particular country currency increases and its stock with the fund falls below 75% of its quota, the IMF can declare it scare. But IMF also tries to increase its supply by these methods. 1. Purchasing :- IMF purchases the scare currency by gold. 2. Borrowing :- IMF borrows from those countries scare currency who has surplus amount. 3. 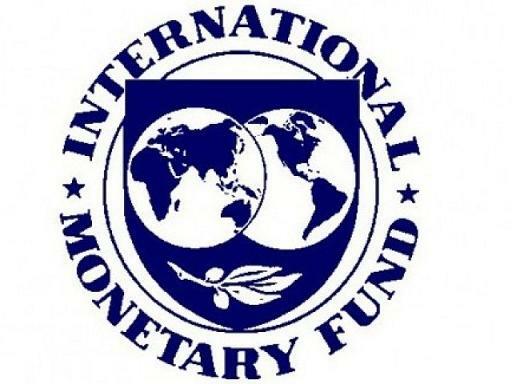 Permission :- IMF allows the debtor countries to impose restrictions on the imports of creditor country. 4. To promote exchange stability :- The main aim of IMF is to promote exchange stability among the member countries. So it advises the member countries to conduct exchange transactions at agreed rates. On the other hand one country can change the parity of the currency without the consent of the IMF but it should not be more than 10%. If the changes are on large scale and IMF feels that according the circumstances of the country these are essential then it allows. The country can not change the exchange rate if IMF does not allow. 5. 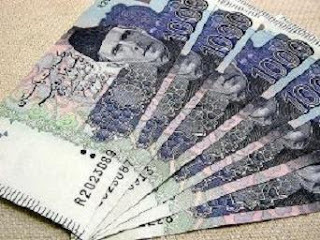 Temporary aid for the devalued currency :- When the devaluation policy is indispensable or any country then IMF provides loan to correct the balance of payment of that country. 6. To avoid exchange depreciation :- IMF is very useful to avoid the competitive exchange depreciation which took place before world war 2. The Islamic development bank is an international financial institution established on October 20, 1975. 1. To foster economic development and social progress of member Muslim countries individually as well as jointly according the principle of Shariah. 2. To increase the cooperation and strengthen the economic ties among them. 3. To develop the interest free landing and borrowing. The bank includes 41 members. Its source of funds are donations and contribution by member Islamic Countries. Its functions are very similar to the world bank. The only difference in the functions of world bank and Islamic bank is that IDB activities involve Islamic Countries only. The operation of this bank is purely in Islamic principles. The authorized capital of the bank is 2,000 million Islamic Dinars. All the members countries have so far subscribed to its capital a total of 1,820.17 million Islamic Dinar. Islamic Dinar is calculated like SDR. Bank provides interest free loans for different projects like, roads airports, etc. The bank charges a very little amount for the administrative expenses. Upto April 1982 forty two projects were completed in 28 countries. It also provides technical assistance to the member countries, to improve the economic condition of the member countries. Upto 1982 fifteen million Islamic Dinar (U.S $ 18 million ) were lended for this purpose. On the basis of equity participation it provides finance for the industrial and agro industrial projects. On leasing basis it also provides loan for the purchase of ships, railway, wagon, tractor and for the transfer of technology. In all cases ownership of the leased goods will revert after a certain period to the lessee. It also provides finance on the basis of shariah. An operation has been made in this form of financing covering a sum of 4.27 million Islamic Dinars ( U.S. 5 million ). A. Investment In Member Countries :- Bank is using its funds in the member countries. So rate of investment in member countries has been increased. B. Increase In The Rate Of Growth :- Islamic bank is providing loans to the member countries for the import of technology. So due to this reason the rate of economic development is increasing. C. Promotion Of Trade :- By facilitating the finance to the member countries, the trade among the members has improved. The bank accepts deposits from the various governments, institutions and from the individuals for investing them within the limits of shariah. The minimum amount of each deposit for a share in profit is six month from the date of deposit. Deposits of more than one million in dollar may be accepted on the basis of negotiation with the bank. It means to depreciate the value of domestic currency interms of foreign currencies. For example the rate of exchange between India U.S.A. is 35 Rs. = 1 Dollar. If India readjusts the exchange rate and offers Rs. 45 = 1 Dollar. The Indian currency will be said to have been devalued or depreciated. Almost all the countries of the world have devalued their currencies time to time to achieve certain economic objectives. During great depression of 1930 most of the countries devalued their currencies. Devaluation policy is adopted to increase the exports of the country. As the currency of any country is devalued, the commodities of that country becomes cheap for the other countries and they increase their demand. As the currency of any country is devalued the other countries goods becomes costly to import from that country. So the people reduce their demands for foreign goods. 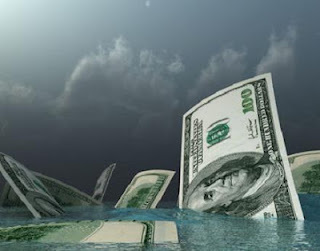 When the balance of payment of any country is unfavorable the devaluation policy is adopted. When the currency is devalued, the value of imports increases but the value of exports will be greater then the value of imports, we will say that balance of payment is favourable. Devaluation makes home goods cheaper to foreign countries and foreign goods expensive to home country. In this way deficit in the balance of payment is corrected. When the currency is over valued, devaluation brings equilibrium in the external and internal value of the currency. So various imbalances in the economy removes. The international lending agencies like IMF, IBRD insists upon devaluation, specially to under developed countries like India, Pakistan etc. Foreign investor also feels pleasure to do the investment in those countries where currency is devalued. Devaluation removes the uncertainty in the business circles. Rate of investment alsi increases. The workers who are working abroad they would prefer to send capital in side the country. Because they will get more currency in terms of foreign currency. History shows that devaluation is a temporary curve for the unfavorable balance of payment. Its effects are for the short period. Some under developed countries were adopted this police but its effects were only for few month. Costly imports brings inflation inside the country. So price level inside the country also rises, due to devaluation. So it creates problem for the consumer. Devaluation increases the foreign debt burden in terms of home currency. This is big loss for the poor country like India, Pakistan. There is a chance that if one country devalues other countries also follow this policy then this policy will become useless. On one hand country has to pay greater amount of money for imports, on the other hand she gets less money for her exports. So devaluation causes deterioration in terms of trade. Index number is very useful in measuring the relative changes in the value of money. It is very helpful for the guidance and formulation of economic policies. Index numbers of imports, exports, wages , employment and population importance can not be ignored. Index numbers serve as a barometer for measuring the value of money. With the help of index number we can easily make a comparison in the value of money in different years. The change in the value of money has a direct effect on the public. So Govt. adopts the fiscal and monetary policy according the results of index numbers. Index numbers are very helpful in comparing the economic conditions of a particular group at two different periods. If we want to know the true consumption standard of a class in a locality we can compute the consumption index number. The money wages can be revised according the proportionate change in the cost of living. The cost of living index number guides the Govt. and the executives for the fixation and revision of wages. 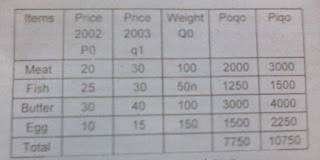 Price index number indicates the producer that he should expand the production or he should reduce the production. If price level is rising it means profit rate is high. If we want to judge the prospects of manufacturing concern the investment index number can be constructed, to know the net yield of the industrial sector. International price index number can be used for comparing the general level of prices in the developed and under developed countries. To check the efficiency and per capita out put of the labour can be shown by index number. Promotion and salary can be also considered keeping in view the index number. Index number of whole sale prices also indicate about the regional disparity. So different measures can be taken for the proper distribution of wealth and stabilizing of prices. The value of money has opposite relation with the price level in the country. When the value of money falls the level of prices rises. As the prices falls value of money increases. The statistical method of computing changes in the value of money is called index number. Index number is an instrument which measures the average price movements of a number of selected commodities. Index number of prices measures the changes in the value of money. If we do not have any purpose in mind, the selection of commodities, selection of markets and relation of base period is useless. So first of all we will have to fix the object of index number. For the construction of index number it is necessary to include only these commodities which are most commonly used by that class of people for whom, the index number are constructed. For example poor class uses vegetables, so we will have to select this at the time of construction. If we want to construct the cost of living index number of rich class, then we will have to choose those markets where this class goes for shopping. The prices of commodities vary from place to place and from shop to shop in the same locality. It is not possible to collect prices from cash and every shop in the selected market but we should take into account the whole sale prices and not the retail prices. There are two methods for selecting the base period. One method is the selection of certain year as a base year. While the other is chain base method. Some times a normal year prices are neither too high nor too low as compared to the previous years. After computing the link relative, their average is taken to get the required index number. The average in the base year will be always 100. If average in the subsequent year is high indicates the rise in the general price level otherwise it will show fall in the price level. While constructing index number proper weights are given according the importance of different commodities. More important commodity will get more weight. Because of a rise in the prices of essential commodities the poor consumer is more affected then others. 2. Weighted average of relatives. An average of the prices of the commodities can be calculated in many ways. Usually Arithmetic mean and Geometric mean is used. The following table shows that how an index number is constructed. P1 = Price for the current year. P0 = Price for the base year. q0 = Quantity of the base year. 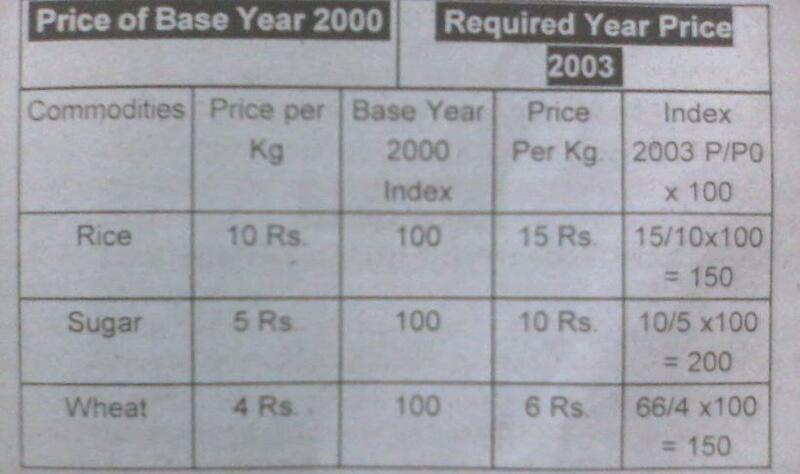 By using weighted aggregate method from the following data taking base year 2000. Calculates the weighted index number by using weighted average relatives. According to the weighted index number there was a rise of 138.83% rise in the general price level in 2003 as compared to 2002. 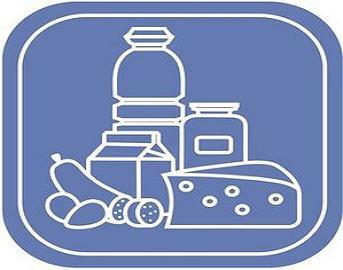 It is very difficult to assign weight to each commodity according to its importance in national consumption. For example wheat is more important for poor and also important to rich people. From year to year taste and traditions changes. So the measurement of the value of money may not give accurate results. It is also very difficult to choose a normal year as a base year. It is very difficult to construct the cost of living index number for every person and every class because their consumption taste is different. We take retail prices because these are more representative but it is very difficult to obtain the retail prices because these are not uniform. No doubt there are so many difficulties in the construction of index number but it is fact that these are very helpful in measuring the value in the short run. "Double the quantity of money and other things remaining the same prices will be twice and the value of money one half. Half the quantity of money prices will be one half and the value of money double." The theory also assumes that the quantity of money is directly related to goods and services offered for sale over a given period of time and the supply of goods and services remains fixed. Example : Let us suppose that there is only one hundred (100) rupees in circulation and there are only ten commodities for sale and purchase. All the goods have the same value. 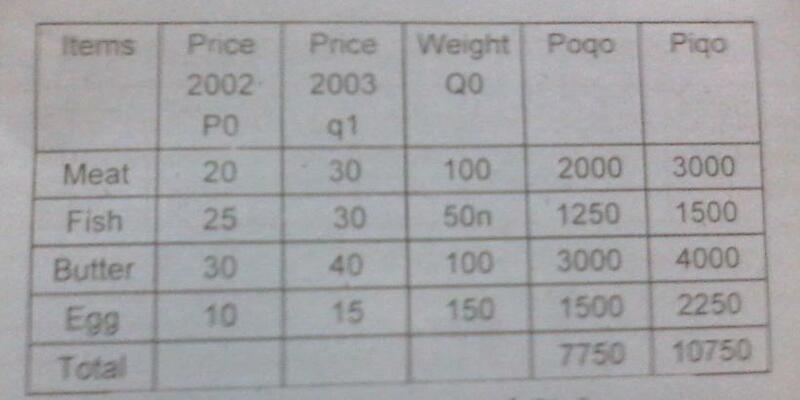 So the price of each commodity will be 100/10 = 10 Rs. Further suppose that the quantity of money in circulation double (200). Now the price of each will be Rs. 20. It means the price has doubled but the value of money has reduced to 1/2. Now further we assume that we reduce the quantity of money from 100 to Rupee 50. 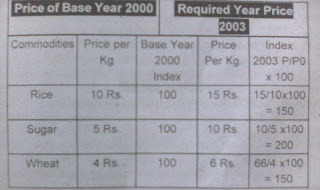 Now each commodity price will be 50/10 = 5 Rs. So in this way, the price is reduced to 1/2 but the value of money is doubled. Professor Fisher has introduced the quantity theory in the mathematical equation and he has also discussed the velocity of circulation of money. P = General price level. M = Amount of money in circulation. V = Velocity of circulation. V' = The velocity of credit circulation. T = Total amount of goods and services bought and sold. Let us suppose the supply of currency in circulation ( M ) is Rs. 100 and the velocity is 3 ( V ). The bank credit ( M' ) in circulation. We assume is also 100 Rs. and its velocity is 2 ( V' ). The total volume of transaction is 100. P = 100 x 3 + 100 x 2/100 = Rs. 500/100 = 5 Rs. Now we double the money and credit amount and then check the price level. P = 200 x 3 + 200 x 2/100 = Rs. 1000/100 = 10 Rs. According to it prices has doubled by doubling the M. So further if we one half the M, the prices will ab also 1/2. According to Prof. Fisher, there are three important factors which influence the value of money. 2. Transaction velocity of money. Velocity of circulation means that one unit of money how many times passes in different hands. For example if 5 Rs. note passes through five persons, it means the quantity of money will be twenty five. According to this theory it has been assumed that velocity of circulation of money remains constant. There is no change in it. It has been also assumed that credit money ( M' ) in circulation will remain constant. It has been assumed that total goods and services quantity remains constant. There should be no change in the volume of direct exchange. There should be no change in the quantity of hidden money otherwise this theory will be not be applicable. This theory has been assumes that velocity V,V,T remains constant in the short run while the fact is that in real life they change in the long run as well as in the short run. In this equation it has been assumed that M,V and T are independent variables while it is not true. When money changes it brings changes in velocity and in the amount of goods and services. According to Fisher the increase or decrease in the quantity of money brings proportionate change in the price level. While the history shows that it is not true. The amount fundamental objection on this theory is that if the we are unemployed resources in a country then an increase in the supply of money will be absorbed in the unemployment resources and production will increase. There will be no rise in the prices level. According to this theory Govt. can increase the quantity of money to remove the deflation and decrease the supply of money to control inflation. But in 1930 when great depression took place every country tried her best to increase the quantity of money but the prices did not rise and depression could not be removed. Another serious defect is that this theory does not take into consideration the influences of the rate of interest on cash balances. Another objection is that it does not treat the problem dynamically. It has failed to explain the processes through which the changes in the quantity of money affect the price level. After long discussion it seems that this theory is not acceptable but it is fact that it enables us in understanding the fluctuations in the value of money. 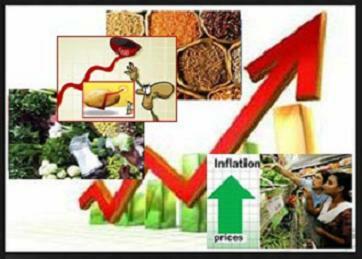 When price level rises up to rate of 2% per annum we say that it is a creeping inflation. The rise in the general level of prices is very slow. Generally, it is considered necessary for economic growth. In this situation price level rises around 5% annually. It is higher as compared to creeping inflation. In this situation price level rises 8 to 10% per annum. When prices are left free to rise and Government do not adopt any measures to control inflation. So price level is out of control in this stage. In this stage the govt. adopts various short term measures to suppress the inflation. Price control and rationing policy is adopted under this inflation. When a Govt. offer a deficit budget and this deficit is met by borrowing and creating new currency. It increases the demand of goods than the supply. So price level rises. It is called budgetary inflation. It is a combination of stagnation and inflation. In this situation rate of unemployment is very high and prices are also rising. While economic growth rate is very low. We may find some features of inflation and recession. In this situation unemployment and inflation co-exist side by side. 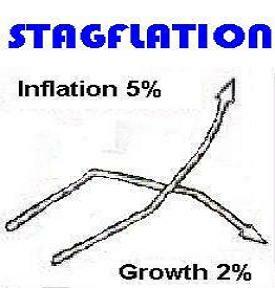 Modern economists say that major cause of stagflation is the reduction in aggregate supply of goods. As supply falls, price level rise, but output and employment falls more quickly. 1. If the prices of raw material and labour increases, it will increase the cost of production prices will rise and out put will fall. 2. Rapid rise in indirect taxes also increase the cost and price level. So out put and employment falls. 3. Shortage of labour also affects the output adversely. 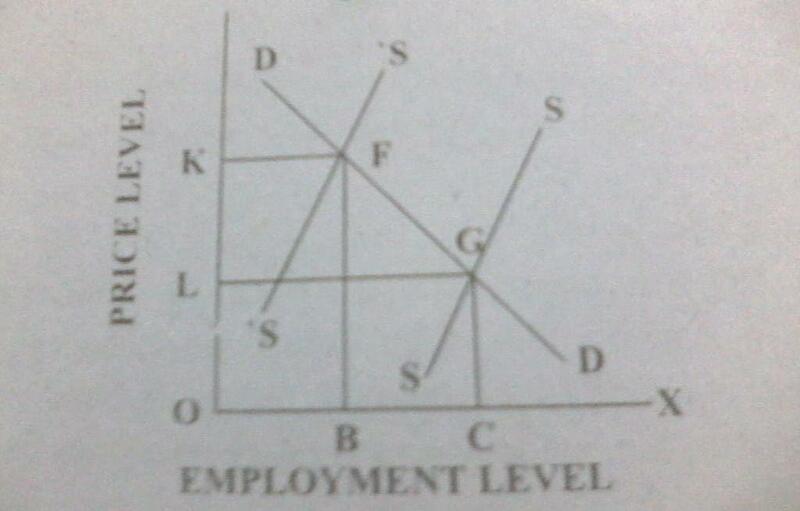 In this diagram aggregate supply curve (SS) intersect the aggregate demand curve (DD) at the point "G". The price level is "OL" and employment level is "OC" when aggregate supply curve moves upward the new equilibrium point of the economy is "F" so due to the fall in supply price increases from OL to OK and employment level falls from OC to OB. 1. To reduce the employment training and skill should be provided to the labour. 2. Money wages should rise with the rise in production. 3. To reduce the cost of production taxes should be reduced. 4. During stagflation govt. should make every effort to control the wages. 5. Tax concession should be given to those firms which keep the wages below the target. 6. Those firms which do not control the wages must pay the penalty. Kent says " Inflation is nothing more than a sharp upward movement in the price level. Keynes says " Any rise in the price level after the level of full employment has been achieved." So we conclude that indicator of inflation is the rising of prices and not the high prices. When the aggregate demand of the public increases due to increase in their income, but the supply of goods and services remains constant. The price level rises and we say that it is demand induced inflation. If the cost of production goes up, the prices will rise. 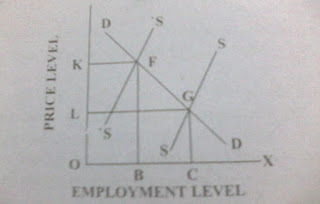 Foe example wages play very important role in rising the prices level. Taxes and rise in the imported material price may also increase the cost of production. So this inflation will be called cost push inflation. Cost push inflation is more difficult to control than the demand push inflation. Because the labour unions never agree to reduce the wages and employment. We can explain it by following example. Suppose due to any reason the demand of any particular industry goods increases. The profit and prices of that industry goods rises. The industry expands the out put by employing the extra labour on high rates. The worker of other industry will also insist for higher wages according to the first industry. In this way general prices level will rise. Higher prices induced the workers to demand higher wages. " Wages and prices always chase each other and in this way general prices level rises" and we will say that it is mixed inflation. When prices rise to such heights that holding of money foe a single day or for a few hours creates a huge loss for the holder, it is called hyper inflation. The change in general price level is so quick that wages have to be adjusted with the rising prices daily. Saving in money terms is completely stopped. In 1920, hyper inflation occurred in Germany, Russia and Austria. In 1940 it was found in China, Romania and Hungry. When a country is in a grip of hyper inflation people hold the money in the stable foreign currency. The only remedy to end this inflation is to replace the old currency with a new one. It is just the opposite of inflation. Deflation is said to exist when there is persistent downward movement in the price level. In other words, deflation, therefore can be called falling of prices and not low prices. The depression of 1929, 1933 has shaken the foundation of capitalistic system. Income, employment and economic activity decreased. The cost and price balance disturbed. The prices decreased then cost and production stopped. "The process of bringing prices and costs into equilibrium is called as reflation in economics." Cole says, "Inflation is deliberately undertaken to relieve the depression." The process through which the prices are brought down without causing unemployment is called dis inflation. It is very popular term which is used in every country. In every country the prices are rising up and people are loosing faith in value of money. It id the desire of the Govt. to bring down the prices at the reasonable level. So in this way various kinds of fiscal and monetary measures are adopted to bring down the price without causing unemployment in the country. We call it dis-inflation. It is a situation where unemployment and inflation coexist side by side. In other words the rate of unemployment and rate of inflation is too high then the accepted standard. It means to depreciate the value of domestic currency interms of foreign currencies. For example the rate of exchange between Pakistan and USA is 60 Rs. = 1 Dollar. If Pakistan readjusts the exchange rate and offer Rs. 70 = 1 Dollar the Pakistani currency will be said to have been devalued or depreciated. Devaluation policy is adopted to encourage the exports and discourage the imports. So this policy is considered very effective to make the balance of payment favourable. 3. To make the balance of payment favourable.